Why Are We Our Own Worst Investing Enemies?Why Are We Our Own Worst Investing Enemies? Why Are We Our Own Worst Investing Enemies? Human beings are reaction machines versus reflective and responsive individuals. We are our own worst investing enemies when it comes to investing successfully. Most people are easily susceptible to bouts of fear and greed when it comes to investing. Unfortunately, these emotional highs and lows are often when the masses are reacting in a similar manner. This leads to bubbles at the top and panic selling at the bottom. These are powerful psychological forces that are very difficult to overcome without great reflection, study, experience, and training. While I have touched on this topic before, I am preparing to film some short videos this week discussing different aspects of my book. Stay tuned for links to my YouTube channel. One of the most obvious questions that will be posed is why I chose to title the book The Philosophical Investor – Transforming Wisdom into Wealth and what are the basic tenets of the book. As I begin discussing my book I feel that I am better able to succinctly and effectively communicate my thoughts. I have spent my professional career learning from masters of self-reflection and mass psychology to help stay off the mountain when the avalanche occurs. I was a big fan of The Odyssey when I read it in high school. I particularly remember the foresight Odysseus had when it came to preparing for a part of the journey involving the sirens. The sirens were beautiful women on shore who sang the most captivating songs that no man could resist steering his ship over to them. The problem, however, was that it was a trap since to get to the sirens the boat would have to go over rocks that would destroy the boat and the people on the ship. Odysseus knew he would not be able to avoid the tempting songs of the sirens on his own. He told his crew to tie him to the mast and that no matter how much he threatens or demands, they under no circumstances should untie him while the sirens were close. How Do We Become Our Worst Investing Enemies? The self-discipline has such great applicability to investing. It is so easy to be allured by the sweet siren call of perceived easy money, especially when there is widespread media coverage of how much money people are making and how behind we feel when we hear of our friends and acquaintances making large sums of money from the latest investment rate. We have to establish an antenna that is sensitive enough to pick up these signals of danger and learn how to tie ourselves to the mast to avoid them at all costs because the risk of permanent loss of capital is so great. Conversely, it’s not enough to avoid imprudent risk to obtain or exceed our financial goals, we must also have the courage to take action when the consensus may not always agree and pessimism is universal. Successful investing often requires standing alone from the crowd and to think independently. I have found it is important to develop a philosophy when it comes to investing (as well as most areas of life) in terms of what I invest in, the returns I am targeting, the risk I’m willing to bear, etc. In addition, I have found it extremely helpful to study some of the great thinkers and investors the world has ever known. Thus, being a philosophical investor means not only having a personal investment philosophy but using the wisdom of great thinkers over the ages to help strengthen the muscles of wisdom and courage in order to build wealth. Investing is often times a very left-brained, analytical world and I think there is a great opportunity for right-brained, liberal arts majors to use their multi-disciplinary tools to make better decisions. It’s been said that when one takes a drawing class, it is not so much to learn how to draw as much it is to learn how to see. This is essentially what Schopenhauer is saying and is very relevant for investing and all businesses and industries. An interesting example of this is in the NFL where Pete Carroll looked at the position of cornerback and thought about it in ways that no one else had. Rather than having smaller, faster cornerbacks like every team had had for decades, Carroll saw the opportunity differently. He wanted very tall, big players to man that position to better defend against similarly sized receivers to take their enormous height advantage away and to match their strength to disrupt their momentum and patterns early in the play. He looked at what everyone else was seeing and thought what no one else had thought. Similarly, successful investing often requires the same abilities and brilliant insights can often come by making connections between two seemingly unrelated things to generate a new insight. For example, in 1989 after the Berlin Wall fell, we thought it made sense to sell high priced California properties due to their valuation and concern that defense spending would be cut significantly and move the money into highly distressed assets in Texas. This worked out well as California went into a very deep recession and the properties in Texas appreciated quite impressively. It’s important to have a varied tool chest of mental models and knowledge of various disciplines to help form a mosaic to see how a pattern and picture is developing earlier than others or different than what the consensus is seeing or believing. 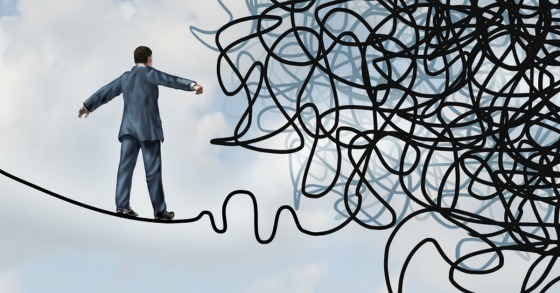 By tapping into the disciplines of economics, history, psychology, physics, mathematics, accounting, sociology, political science, and geography, one can train one’s mind to connect the seemingly unconnectable and have one of those “Aha moments” to either avoid something that others do not perceive as risky and/or invest in something that others see as fraught with risk and danger. As you work towards Transforming Wisdom into Wealth how do you avoid the emotional highs and lows and reacting to bubbles at the top and panic selling at the bottom thus becoming one of your own worst investing enemies? ‹ How do Partnerships Affect Happiness and Longevity? Very good read Gary, to answer your question, I rely on good, trusted and seasoned advisors. I spent many hard years working to make money, now I let that money make money, while I make a life. Thanks for these thoughtful blogs.